Echo! Echo! Echo! This sound reverberated around the UK and Germany (sorry, Germans, I'm unsure what 'echo' is in German) as Amazon announced it would be releasing its Echo speaker in the two countries this fall, along with a new white model that will also be coming to the US. 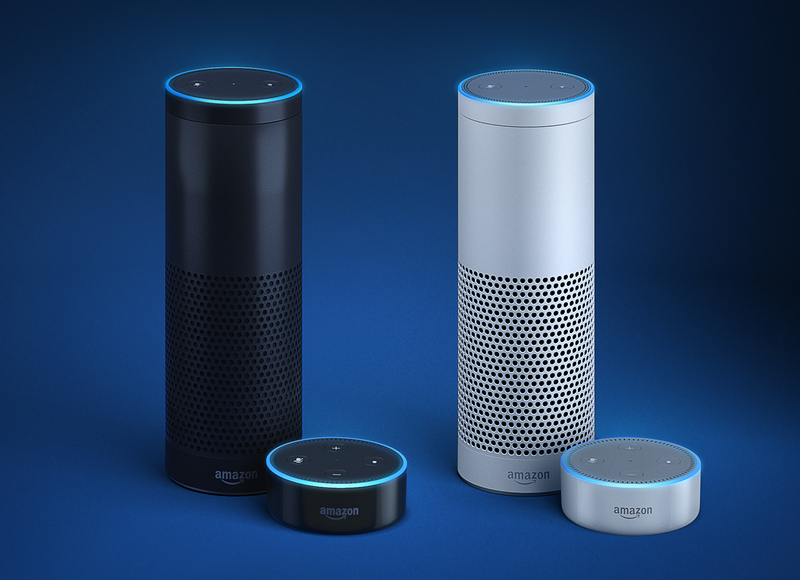 For the UK release, Alexa has some new skills, partnering with world-renowned cook and school dinner ruiner Jamie Oliver, Sky Sports, National Rail, The Telegraph, The Guardian, the BBC, Uber, and Spotify. Want to know the train times for your trip? Ask Alexa, she'll tell you. Want a fantastic recipe for your hot date? Alexa has all the information you need. You can also order food through Just Eat, or ask for news snippets from Sky. In more fantastic news, Alexa has learned to spell, spelling 'colour' correctly, with a delightful Home Counties accent to boot. As you'd expect, Alexa can talk German too, with Deutsche Bahn integration announced. Any developer that publishes a skill for use in the UK or Germany before October 31st will receive a new, limited edition Alexa t-shirt. The Echo speaker, white or black, will cost £149.99 in the UK and €179.99 in Germany, with pre-orders going live today. Shipping will start on September 28th in the UK and October 26th in Germany. As an added bonus, Amazon Prime members can get £50/€50 off if they order in the next few days. The Echo dot, meanwhile, will cost £49.99 or €59.99, with shipping beginning on October 20th in the UK and October 26th in Germany. Google says Nexus 6 and Nexus 9 LTE Nougat updates will be rolling out "in the coming weeks"